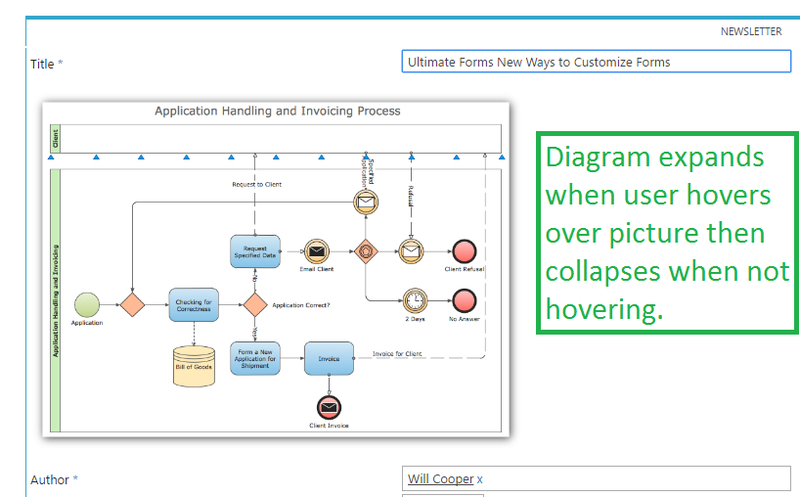 Start by loading in as many diagrams as you need at full size to the local site. The Site Assets library is used in this example. 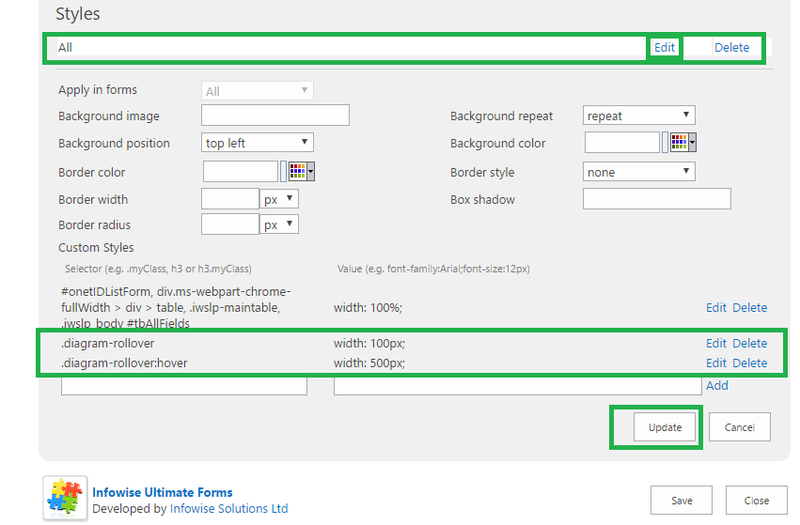 Using the Tab Configuration area, create some fragments which are simply image references to your diagram that you can insert along with the fields selected in the same area. Note that you can later edit these fragments as needed at any time. 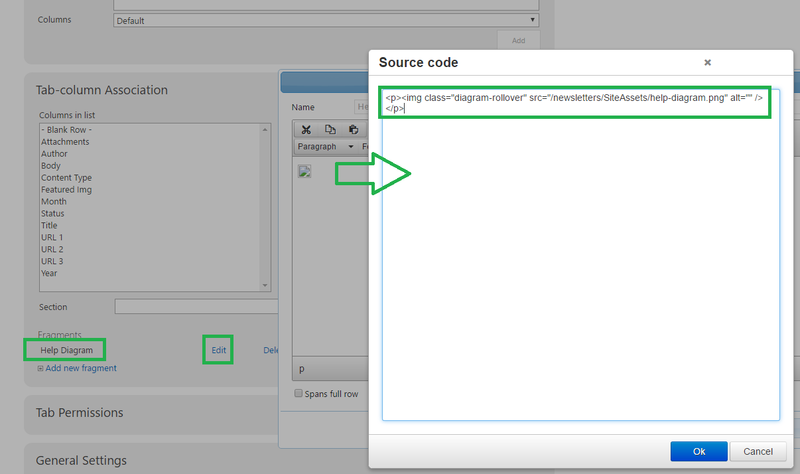 Use the source code option so that you are able to add a custom class diagram-rollover as shown. All your fragments should use this CSS class in order to take advantage of the custom rollover function. Use the styles section to add CSS references to control the custom functionality. All of your image diagrams using this class will have the same hover effect. 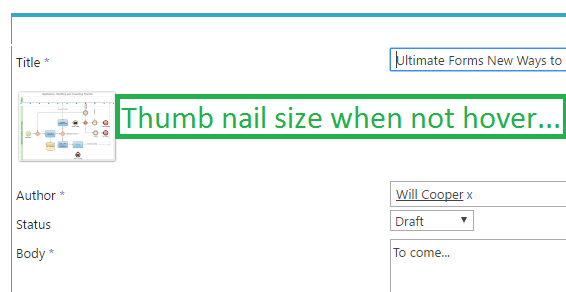 Including Visual Elements in SharePoint user forms makes the user experience much more effective. When possible look for ways to show a visual representation of the process to users inline so that things are easier to understand.